Birthday CardsThere are 24 products. Birthday of you loved or business partner is comming soon but you haven't bought yet a present. You would like to give a unique, original and special gift. Have you ever thought of choosing a unique, hand-crafted Birthday Cards? Each Birthday Card from e-shop Unikatnica is handmade from carefully chosen materials, patterns and motifs. Each Card is an author's original work, made only in one piece. You can also personalize hand-craftedd Birthday Card by writing your own words and thoughts in it or you can let us to do that for you - it this case - write your message before ending your shoping adn let us know where would you want it to appear - infront or inside of the card. 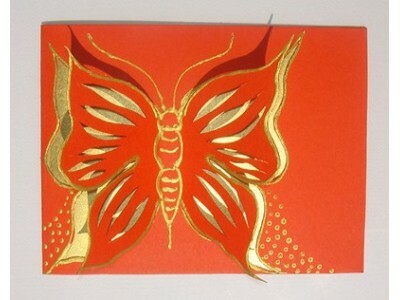 We can write your message infront of the card with a golden or silver contour.